Source: Health impacts of the Cambridgeshire Guided Busway: a natural experimental study. Public Health Res 2016; 4: 1. What was the problem? A shift towards more active lifestyles could be a ‘best buy’ for improving public health. Local authorities have a role to play in achieving this. For example, they can make it easier for people to walk or cycle as part of everyday journeys such as going to work. But it can be hard to study the effects of changing transport systems. This means that there is little good evidence to guide investment. What did we do? 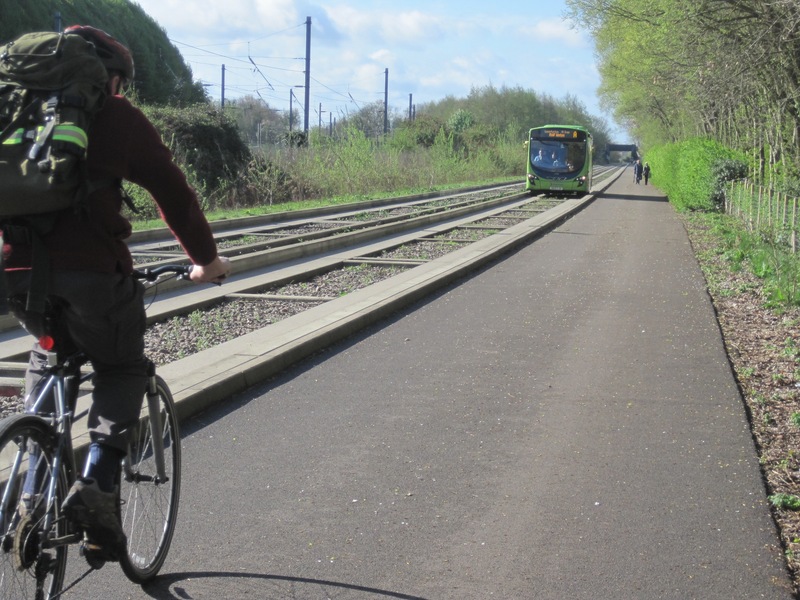 The Cambridgeshire Guided Busway is a new bus network with a high-quality off-road path for walking and cycling. It was opened in 2011 and is the longest of its kind in the world. We took the opportunity to find out more about how people travelled to work and how this changed as a result of the busway. What did we find? How people travelled to work depended on many different factors, ranging from childcare to parking. We studied these and took account of them in our research. We showed that, over time, people living closer to the busway were more likely to increase their cycling, and less likely to use their car, for commuting than those living further away. These changes could help to increase their overall physical activity and improve their health and well-being over time. What does this mean? We need to see whether or not similar results will be found in other places. In the meantime, our findings provide new evidence that changing transport systems can help to improve people’s health. Background. Improving transport infrastructure to support walking and cycling on the journey to and from work – active commuting – could help to promote physical activity and improve population health. However, there is limited evidence from intervention studies to guide policy and practice. We therefore took the opportunity presented by a ‘natural experiment’ to conduct a quasi-experimental study of the effects of new transport infrastructure on travel behaviour, physical activity and related wider health impacts among commuters. The study was based around the opening of the Cambridgeshire Guided Busway, the longest guided busway in the world. Cambridge lies 80 km north of London and has a distinct cycling culture related to its flat topography, its large student population and the traffic congestion in its historic city centre. The busway links towns and villages to the north-west of the city with the Science Park, the city centre and the Biomedical Campus on the southern fringe. Buses run on a completely segregated guideway along most of the route, and a new high-quality traffic-free path for pedestrians and cyclists is provided alongside the guideway. Is investment in new high-quality transport infrastructure associated with an increase in the use of active modes of travel (walking and cycling) on the journey to and from work? What are the wider health impacts of changes in travel behaviour in terms of overall physical activity, well-being, sickness absence and carbon emissions? What are the determinants of the use and uptake of active modes of travel? How are any changes in travel behaviour distributed in the population? How are travel behaviour and changes in travel behaviour embedded in and shaped by the wider social context? Are changes in travel behaviour sustained over time? It was not possible to address the last of these because of the delayed completion of the busway (see Overall research design). Overall research design. The study design was adapted over time to accommodate repeated delays in the completion of the intervention that were outside the control of the research team. The original design envisaged collecting the main outcome measures in 2010 and repeating these in 2011 following scheduled completion of the busway in 2009, but in the event the busway was not opened until August 2011. This allowed for an extended period of methodological and observational research to enhance the ultimate evaluation, which was based on quasi-experimental analysis of a cohort of commuters followed from 2009 to 2012 together with a survey of busway users and a set of qualitative studies. A graded measure of each participant’s exposure to the intervention, based on the proximity of the busway to his or her home, served as the basis for controlled comparisons. A cohort study of adults living within approximately 30 km of Cambridge city centre and working in areas of the city to be served by the busway. Participants were recruited predominantly through workplaces and surveyed by post. They completed a core questionnaire in 2009 and were invited to complete annual follow-up questionnaires until 2012. A total of 1143 participants provided valid data on active commuting at baseline, of whom 470 also did so at final follow-up in 2012. A face-to-face survey of 1710 users intercepted on the busway in 2012. Detailed quantitative studies of the activity patterns of subsamples of the cohort, using household travel diaries (865 person-weeks of observation) and various combinations of accelerometers, combined heart rate and movement sensors and global positioning system receivers (2609 person-weeks of observation). Detailed qualitative studies of subsamples of cohort and intercept survey participants, using over 120 semistructured interviews complemented by a photo-elicitation study, a media analysis and a participant observation study. Measurement and patterns of active commuting. Despite 85% of the sample having access to a car, active commuting was a highly prevalent behaviour in our cohort, reflecting the local background prevalence of cycling and the selection of largely healthy workers into the cohort. We used synchronous household travel diary and georeferenced combined heart rate and movement sensor data to validate our primary outcome measure of time spent in active commuting derived from the core questionnaire, finding relatively small mean differences between the self-reported and objective estimates for cycling (1.12 minutes per trip) and walking (2.37 minutes per trip). Although time spent in physical activity overall changed little over the duration of the study, the median weekly time spent in active commuting declined from 120 minutes to 100 minutes (p = 0.001), mostly explained by a decrease in time spent cycling. Relationships with physical activity, health and wellbeing. Walking and cycling were often incorporated into longer commuting journeys made predominantly by car or public transport. We used the sensor data to estimate the physical activity energy expenditure associated with specific travel patterns such as using buses or park-and-ride facilities. On average, 20% of the duration of these ‘multimodal’ trips was spent above the moderate physical activity intensity threshold, indicating their substantial potential contribution to commuters’ overall weekly physical activity. Those who spent more time in active commuting were more likely to record higher levels of overall physical activity as measured by accelerometer, and reported higher levels of physical well-being. Role of social factors. Commuting practices were complex and shaped by a multitude of social commitments that were liable to change. People ultimately adopted the travel patterns that were most compatible with these commitments and imposed the least burden on themselves and their families. At the same time, both qualitative and quantitative analyses corroborated a hypothesis that participants’ life stage and socioeconomic circumstances influenced how far they lived from the city centre, which in turn affected their commuting behaviour. Social context thus shaped commuting practices not only through changeable social ties, but also through broader socioeconomic patterns. Commuters did not necessarily regard travel time as wasted time, and their journeys could give rise to both positive and negative experiences that were also important in shaping travel patterns. Role of environmental factors. We confirmed that distance between home and work was an important influence on commuting behaviour, but we also showed that distance need not present an obstacle to incorporating substantial quantities of walking or cycling into longer journeys made by car or public transport. Some perceived and objective features of the environment were associated with active commuting in cross-sectional analyses, and with the uptake or maintenance of active commuting in complementary longitudinal analyses. The latter provided important new evidence that interventions aiming to provide safe, convenient routes for walking and cycling and convenient public transport – such as the busway – might be expected to promote active commuting. They also identified a strong influence of the provision and cost of workplace parking, suggesting new targets for intervention and evaluation in future studies. These hypotheses were further supported by qualitative research showing that people moving home or workplace were primarily motivated by considerations of convenience, speed, cost and reliability when deciding how to make their new journey to work. Understanding the intervention. Media analysis clarified the potential for exposure and access to the intervention and the fidelity of its implementation to vary in time and space, and helped to shape the subsequent analysis of interview data. Participant observation showed the importance of initial experience in determining people’s perceptions and use of the busway, and highlighted a contrast between the more positive appraisals of former car users and the more dissatisfied appraisals of former bus users. Patterns and predictors of use of the busway. Most users intercepted on the busway were using it to travel for work, business or study. More than half were intercepted while travelling by guided bus, and more than half of these indicated that their current trip would previously have been made by car. One-quarter of cycle trips were also said to have replaced a car trip. Nearly half of path users reported that they now cycled more than they did before the opening of the busway, and two-fifths of guided bus users also reported that they now walked or cycled more. In cross-sectional multivariable logistic regression analysis, exposure to the busway – defined in terms of proximity, modelled as the negative square root of the shortest network distance from home to the busway in km – was associated with a greater likelihood of using the busway for cycling [adjusted odds ratio (OR) 2.18, 95% confidence interval (CI) 1.58 to 3.00], bus travel (OR 1.53, 95% CI 1.15 to 2.02) and walking (OR 1.34, 95% CI 1.05 to 1.70). The effect of proximity was strengthened in towns for bus use, and in towns and villages for walking, compared with urban areas. Men were more likely than women to have cycled on the busway, but individual socioeconomic characteristics did not predict guided bus use or walking. 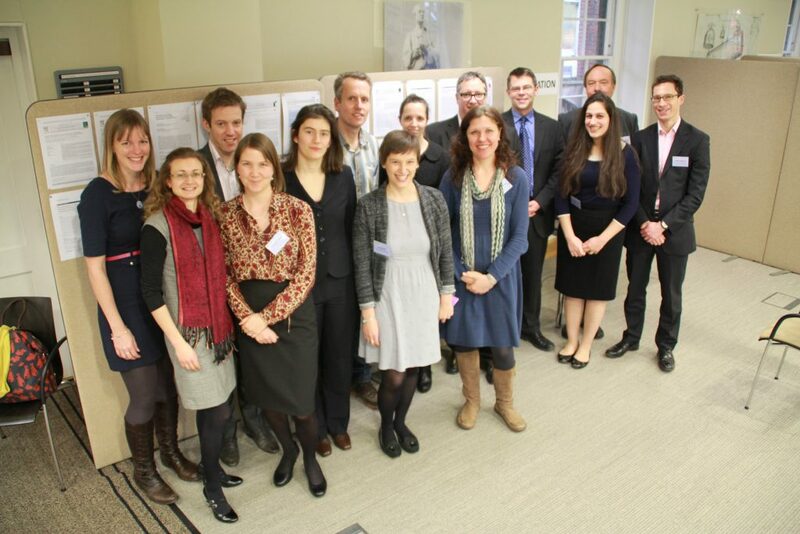 Linking environmental change with travel behaviour change in commuters. In longitudinal multivariable multinomial regression analyses of behaviour change in our cohort from 2009 to 2012, adjusted for multiple individual, household, geographic and other potential confounders as well as baseline commuting behaviour, exposure to the intervention was associated with a greater likelihood of a large (at least 30%) increase in the proportion of commuting trips involving any active travel [adjusted relative risk ratio (RRR) 1.80, 95% CI 1.27 to 2.55] and of a large decrease in the proportion of trips made entirely by car (RRR 2.09, 95% CI 1.35 to 3.21), as well as with a correspondingly lower likelihood of an increase in estimated carbon emissions attributable to commuting (RRR 0.57, 95% CI 0.43 to 0.75). Exposure to the intervention was also associated with a greater likelihood of an increase in weekly time spent cycling, both for commuting (RRR 1.34, 95% CI 1.03 to 1.76) and for commuting and recreation combined (RRR 1.32, 95% CI 1.04 to 1.68). In other words, participants living 4 km from the busway were about one-third more likely to have increased their cycle commuting between 2009 and 2012 than those living 9 km away. Those who had done so reported a substantial mean increase of 87 minutes of cycling per week. Path regression analysis showed that use of the busway explained the large majority of the observed effect, while changes in cognitions relating to the route environment or to car use were not significant in mediating the observed effect. The effect was moderated by baseline commuting behaviour (p = 0.02 for interaction), with a significant effect on overall time spent in active commuting among those who reported no active commuting at baseline (RRR 1.76, 95% CI 1.16 to 2.67). Contextualising and interpreting the effects. Interviews suggested that although people were unlikely to use the new infrastructure unless it closely matched the journeys they needed to make, a range of other factors informed travel behaviour, and these were dependent on the value attributed to different aspects of the journey experience. These generally involved considerations of comfort, ambience or pleasantness and of feeling safe, which could trump considerations of reliability and speed. Although experiences of the busway were complex and ambiguous, they culminated in meaningful travel behaviour change for some users, through shifts in the balance between influential factors and planning, trialling and adopting new practices over time. Linking active commuting with health benefits. We found no direct evidence of an effect of the intervention on time spent in physical activity overall, but the study lacked statistical power to detect such an effect. However, we found no compensatory decrease in recreational physical activity, and in observational cohort analysis changes in active commuting were associated with commensurate changes in total self-reported physical activity. Cycle commuting was also associated with lower sickness absence at work and improved well-being and weight status 1 year later, albeit with modest effects at the individual level. Commuting as a target for public health intervention. Commuting comprises a complex set of behaviours or practices that can be captured, summarised and promoted in a variety of ways. Active commuting can make a substantial contribution to overall physical activity and to health and well-being more generally, whether walking or cycling are used as the sole mode of transport or incorporated into longer journeys by car or public transport. Supportive transport infrastructure is associated with the uptake and maintenance of active commuting, but observational evidence for these relationships increasingly requires to be corroborated by intervention studies assessing the effects of actual changes to the environment. Commuting is also shaped by a set of broader economic and social factors. These can be expected to influence the effects of new transport infrastructure, and could themselves be targets of future intervention and evaluation. Evaluating the health impacts of new transport infrastructure. Using a robust quasi-experimental study design, we have shown that the provision of a new bus network and high-quality traffic-free path for pedestrians and cyclists was associated with a shift away from using the car and an increase in time spent in physical activity on the journey to and from work. There was a mixed pattern of effects, however, with the intervention providing a more supportive environment for some people and not for others. There was some evidence that the effect was most pronounced among those who reported no active commuting at baseline, and observational evidence suggesting a relationship between active commuting, greater overall physical activity, and improved well-being and weight status. These findings provide new empirical support and direction for reconfiguring transport systems to improve population health and reduce social inequalities in health. Implications for public health research. Future research should aim to confirm and extend these findings by evaluating environmental changes in other socioeconomic, cultural and topographical contexts and over longer periods of observation to enable the cumulation of evidence to support more generalisable causal inference. Such studies should seek to quantify travel and physical activity behaviour change using self-reported measures, objective measures or both, commensurate with their research questions; to define exposure to interventions in such a way as to enable controlled comparisons; and to understand the social and environmental context of behaviour change using qualitative and quantitative methods in combination. The success of future natural experimental studies is likely to depend on a flexible approach from researchers and funders to respond to changing intervention timetables and the need for an evolving analytical strategy. View publications on the CEDAR publications database. Many other MRC Epidemiology Unit and CEDAR staff and students and visiting researchers have also contributed to this study. Funding for this study was provided by the Public Health Research programme of the National Institute for Health Research.